It’s the power of the Cloud. You get powerful business telephone solutions without any of the hassle and cost of investing in PBX hardware, maintenance or upgrades. When you choose hosted PBX in the Cloud, you get comprehensive, enterprise telecommunication service at a fraction of the cost of traditional on-premise telephone systems. 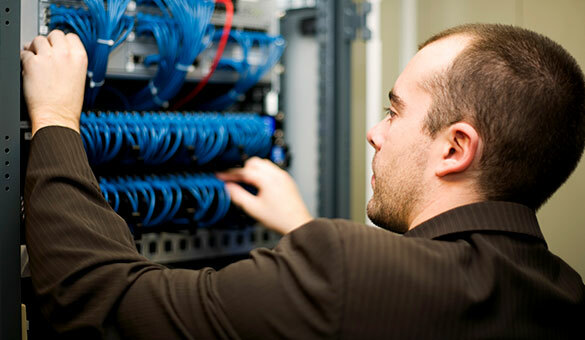 And when you choose AstraNetworks, you get advanced Panasonic telephone endpoints and expert solution design, setup, training and ongoing support right in Rochester NY. AstraNetworks partners with two of the leading hosted PBX service providers. With OnSIP and Telesphere as your hosted telephone service provider you’ll have the peace of mind of redundancy. Both services operate from multiple locations to ensure your service is there when you need. And with cloud based telephony, your office workers and remote workers all have the same access to each other no matter where they are working today. They can call each other by extension, transfer calls seamlessly, or answer incoming calls from hotel rooms as if they were sitting in their offices.